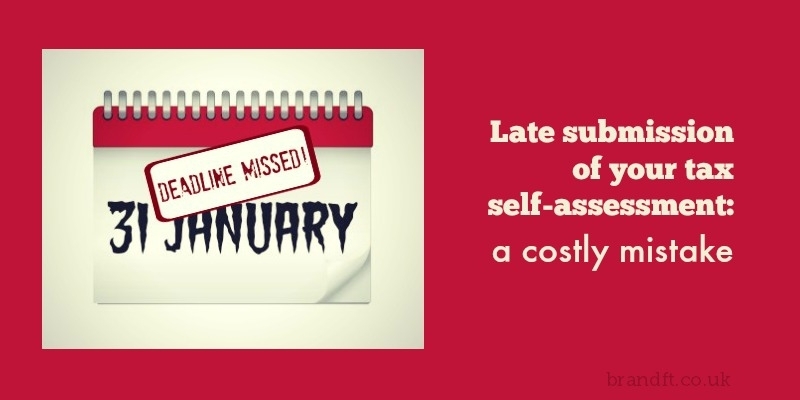 If you’re someone who missed the 31st January deadline for tax self-assessment, it could be painful to you financially. The following outlines the penalties that will be imposed on you if you delay submitting your assessment any further. This article is relevant to takers of the CII R03, R06, AF1 and AF5 exams. Towards the end of 2014 we took a look at the looming tax bill for those subject to self-assessment. Well the key date was 31st January 2015 and according to HMRC over 800,000 taxpayers missed it. So, what are the consequences for those people? The first thing that happens is a £100 fine. If you then fail to submit it within the next 3 months, a £10 daily penalty is charged for a maximum of 90 days – that’s potentially another £900 on top of the fine. Even if the taxpayer doesn’t actually owe any tax, these fines still apply. If the return still doesn’t appear 6 months later there’s a further penalty of either £300 or 5% of the outstanding amount of tax, whichever is the higher. Same again happens if the tax return is more than 12 months late. As for the tax payment itself, interest is automatically charged on late and underpayments. Penalties are also charged if tax remains unpaid after certain time periods after the balancing payment is due on the 31st January – so for 2013/14 a 5% penalty will be charged on the 3rd March 2015, again on the 3rd August 2015 and again by the 3rd February 2016 if the tax still remains unpaid by then. These penalties are all on top of the interest. Interest is also levied if you claim a reduction in your payment on accounts which later turn out to be unjustified and penalties are also incurred for failing to keep records and documents that you need in order to fill in your tax return. HMRC do produce a pretty good guide on how to fill in your tax return and their helpline does offer tax advice and help with filling it in. They will also accept ‘reasonable excuses’ for being late which could avoid the £100 fine. These include hospital confinement, death of a partner or fire. Not surprisingly they do not accept the old favourite ‘homework late’ excuse of ‘the dog ate it’. If you’re studying for your CII R06 exam, and you’re wanting an edge in your preparation for the exam, grab our free taster analysis to try out one of Brand Financial Training’s resources for yourself. Click the link to download the R06 case study analysis taster now! Alternatively, you can download taster resources for AF1, AF5 or R03 if one of those exams is stressing you out. What do you think about the penalties enforced on late payers? Are they too harsh or do you think they’re an effective way to ensure timely submission of self-assessments?